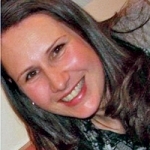 Elissa is a passionate osteopath, business owner and mentor. Elissa has worked as an Osteopath in private practice in Melbourne since graduating in 1998. She started her own multidisciplinary clinic in 2002, combining osteopathy with, massage, naturopathy, kinesiology and counselling. In 2015 Elissa merged her business with a local podiatrist and started The Balwyn Health Hub. She is well known for her treatment of children and pregnant women although her patient base also includes a strong focus for; the family unit, the elderly, performers, athletes and the chronically ill. Her special interest in osteopathic diagnostic reasoning often helps patients understand why chronic dysfunctions are not healing. Elissa’s passion for working with pregnant women, babies and children allows close professional relationships with lactation consultants, midwives and doulas which has led to her guest lecturing at a number of multidisciplinary conferences. The stresses faced by each new mother will reflect her unique experience of conception, pregnancy and birth and these stresses can significantly influence the mother-baby bond. Even the most well researched birth plan can be subject to variations and complications that will inevitably put additional stress on the mother. Difficulty breastfeeding is often one of the first signs of stress on the mother-baby unit; it’s success or failure can drastically influence the early bonds made between the dyad. The neuroendocrine system has many ways of responding to these stresses and knowledgable manual therapists have an opportunity to support both the mother and baby towards optimal physiology.